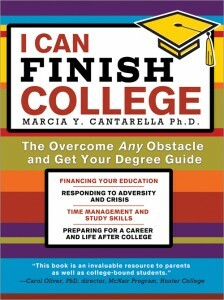 In the book I Can Finish College, Dr. Marcia Y. Cantarella discusses how to prepare for a career with skill building. What about preparing for a career? What you need are skills. You also need evidence that you are intelligent and learn quickly and easily. Your grades provide both. We are in a fast-changing environment. You need to show good grades in a variety of subjects and excellence in the majority of your courses. You need to show that you can find, absorb, and integrate lots of information. (Most employers want to train or teach you to do things their way, anyway.) Sometimes you may need to engage in “thinking outside of the box.” If you’re studying a subject you love, then you are able to do these things more easily than if you’re struggling to understand the basic concepts of a subject area. Employers also tell us that they seek, in addition to basic quantitative skills, really solid communications skills. You must be able to write—presentations, memos, reports, speeches that must be clear, logical, cogent, literate (good grammar and spelling), and persuasive. Courses that require heavy reading and writing many pages of papers are good practice for an executive career path. President Obama won the 2008 election in part on his verbal skills. Students who score well on the MCAT, GMAT, LSAT, and GRE do so as much on the basis of the tests’ verbal sections as they do on other content. A major in history or English comes in here. I have known English literature majors with 3.9 GPAs who got job offers at prestigious financial services firms. These companies recognized strong communications skills and grade point averages as evidence of intelligence, diligence, and teachableness. Firms want individuals who can be good team players and quickly learn how things are done, i.e., those with good people skills who are, again, teachable. If you major in people-centered subjects like sociology, psychology, or anthropology, to name a few, then you will learn more about human behavior. But history and literature, economics and political science are also studies in human behavior. All these subject areas can help build skills useful in understanding situations and colleagues in the workplace. Of course, what builds people skills is interaction with others (obvious, yes?). But if you select a major that does not suit your style of learning, interests, or capacities, you will spend hours in study and have little time to engage in social or extracurricular activities that allow you to build the leadership and human interaction skills that are an essential part of a successful work life. Employers also seek individuals possessing critical thinking skills who can anticipate solutions to potential problems. Any major will enable you to develop those skills. All learning involves discovering new knowledge and solutions to hard questions. How things work and why and how they have worked in the past make up the essence of academic inquiry. Engaging in research, whether in a library or a lab, is how critical thinking skills are developed. The questions faculty ask to get you to think are designed to build this capacity. Again, if you are studying what you love, you will be asking and answering tough questions because they interest you. You must also have some degree of quantitative aptitude. Students come with varying degrees of skill in this area, and possessing some skill is natural. Perhaps you would rather deal with numbers, spatial relations, or abstract quantitative concepts than read a novel or historical text. Others develop quantitative skills in school with varying degrees of success. Whether you’re managing a budget, developing a media plan based on metrics, or designing a house, you need math in some form. If it is your passion, then it can be a major or minor or a significant ingredient in your chosen subject, such as physics. I know an English professor who has traced the role of math in literature. Musical aptitude and mathematical ability are often coupled. However you approach it, you can be sure it is useful knowledge. Marcia Y. Cantarella, PhD, has held positions at Hunter College, Princeton University, New York University, and Metropolitan College of New York. During her 22 year career as a dean and vice president of student affairs she has enhanced the academic experiences of and outcomes for generations of students. Cantarella Consulting works with colleges and organizations on issues of higher education pipelines, access, diversity, and student success. Current consulting projects and clients include the Hunter College Black Male Initiative, Kingsborough Community College, The One Club, and Saint Augustine’s College. The firm has also done work for several UNCF colleges. 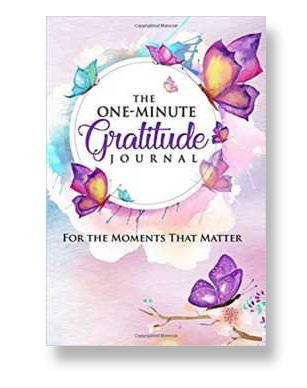 Read more articles from Dr. Marcia Cantarella based on her book I Can Finish College.